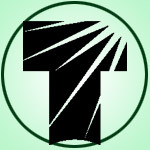 Where does the name Tele Vue come from? Just look at the initials: TV. Al Nagler’s initial products were television projector lenses. These lenses were placed in front of your television to project an enlarged image on a screen. That was “big screen TV” in 1977! However, Al also wanted a name that would be appropriate if he ever entered the amateur astronomy market. 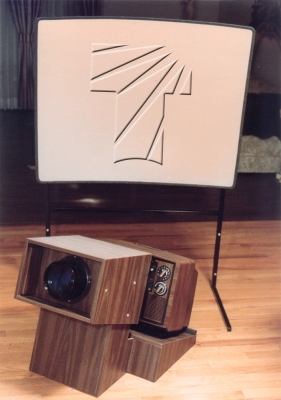 Tele Vue’s Tele-Kit TV Projection System. 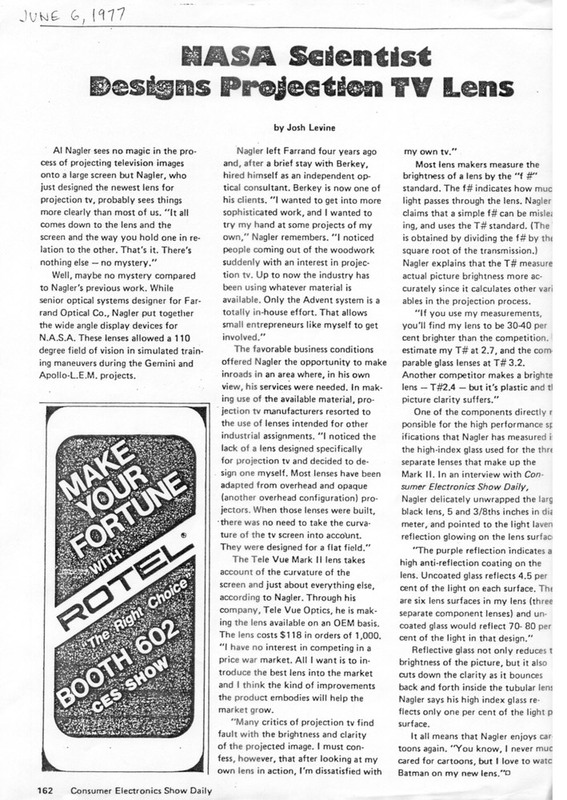 Tele Vue exhibited at the 1977 Consumer Electronics Show. The secret is out: Edmund Sci. 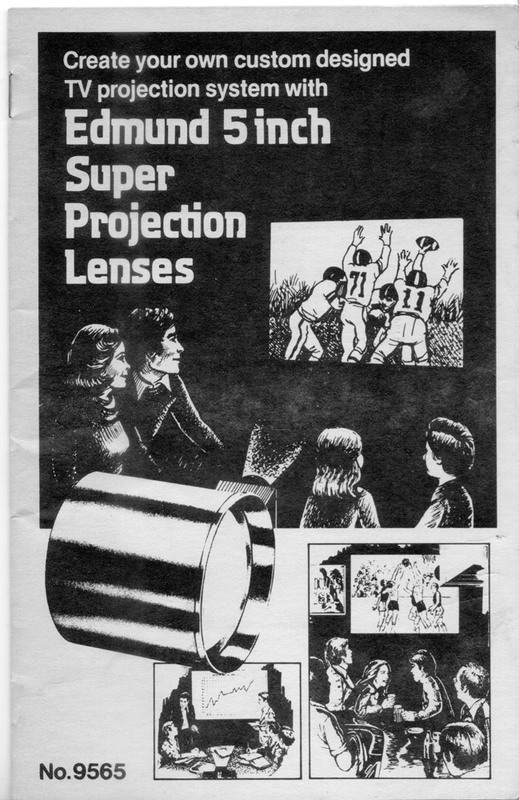 projection lenses were Tele Vue’s!